ASKO specializes in high quality and high performance dishwashers and laundry appliances that are inspired by Scandinavian design. Pleasing aesthetics in expression and appearance offer a variety of design choices. Every detail has a purpose when it comes to ASKO appliances. Committed to quality as well as being environmentally-friendly, ASKO has one of the most water and energy efficient dishwashers in the world. 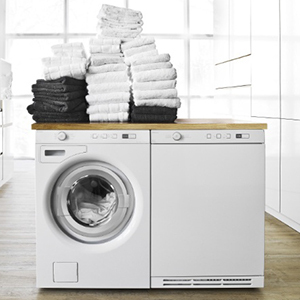 ASKO’s dishwashers, washing machines and dryers have earned the ENERGY STAR label. 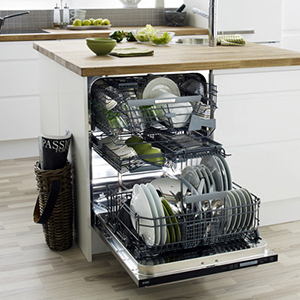 A Super Cleaning System in ASKO dishwashers does the pre-rinsing for you, saving you time, water, energy and effort. An extra-large capacity lets you fill this dishwasher with larger plates, baking trays and cookware even though on the outside, it’s the same size of a standard dishwasher. The turbo drying system dries your dishes better by mixing the moist air in the dishwasher with the dry air from outside, letting the inside of the dishwasher to be completely dry. The Active Drum system with hourglass shaped and removable paddles that guide the load to the central area of the drum. ASKO reinforced and stabilized their washing machines by using a robust cast iron rear gable instead of the concrete often used by other manufacturers. Induction motors without carbon brushes are used in all washing machines, allowing them to cope with the highest spin speed, reducing noise levels and increasing the lifespan of the machine.